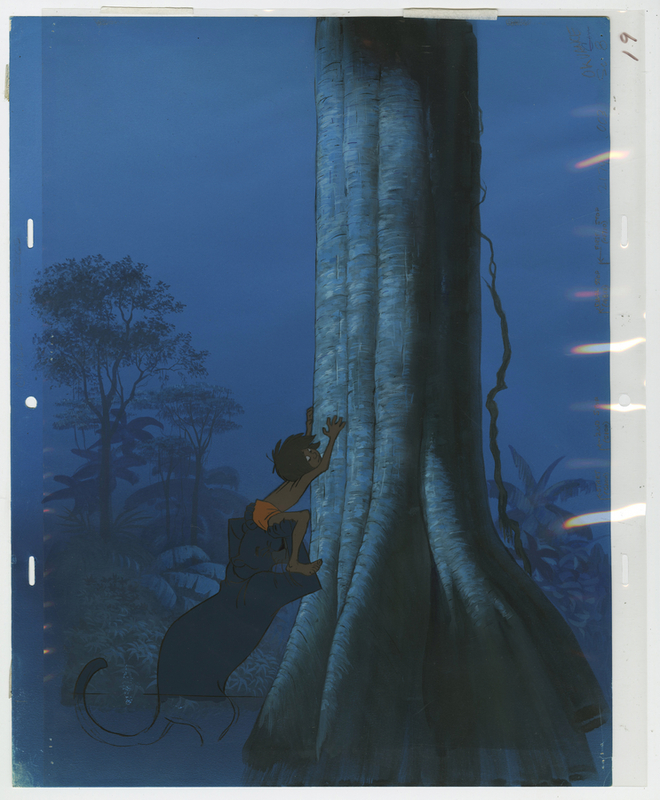 This is an original key matching production cel and background from the Walt Disney studios animated feature, The Jungle Book. 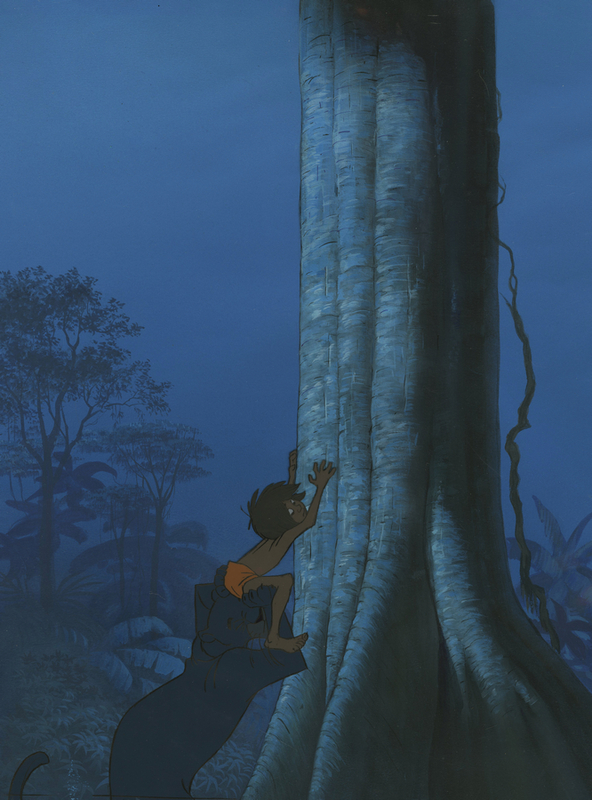 This setup features Bagheera helping Mowgli climb up a tree for safety, and was created at the studio and used during the production of the film. 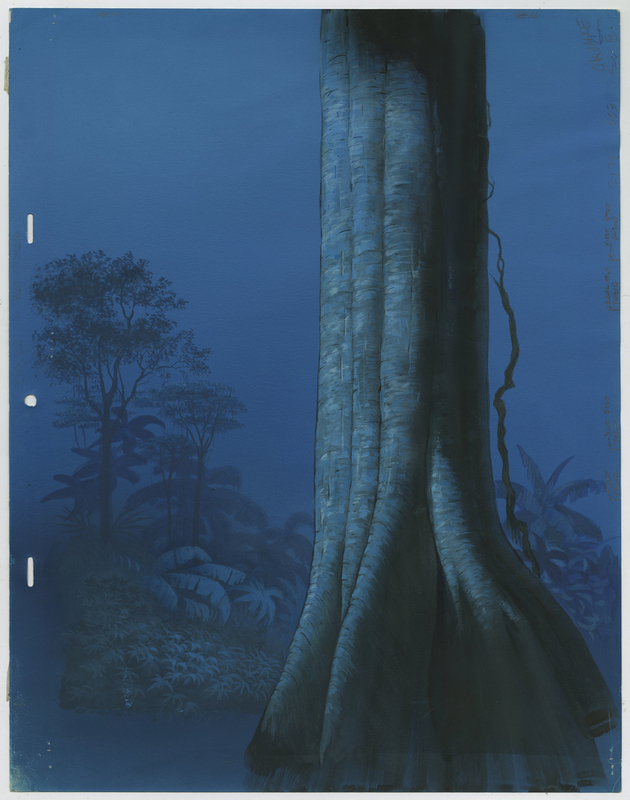 The overall measurements of the piece are 16" x 12.5" and the image itself measures 14" x 11". 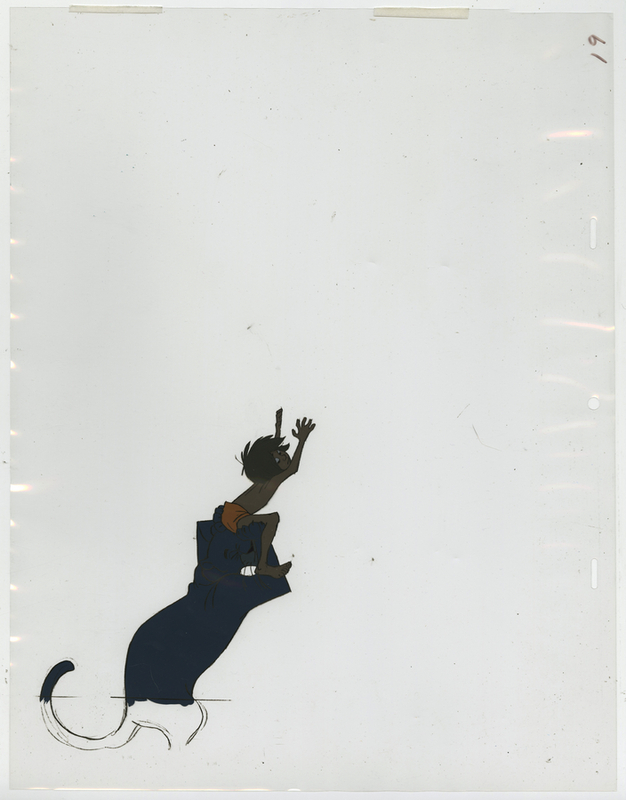 Key setups from any film are hard to find, but this is a brilliant image with the two characters and it is in very good condition.